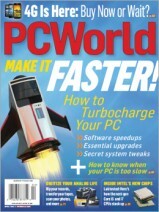 Go here and sign up to get a free One Year Subscription to PC World. My Husband and Dad will be very happy about this one. Enjoy!